We love Biscoff Spread in our house. The jars never last a very long time. It’s just so creamy and smooth and full of that gently, spiced cookie flavor. I decided that it would be a perfect accompaniment to caramel. I was right! I do admit that this recipe is like getting a jump start on Fall, when apples will be in season and so will caramel and spice. But don’t wait that long to whip up this easy dip. 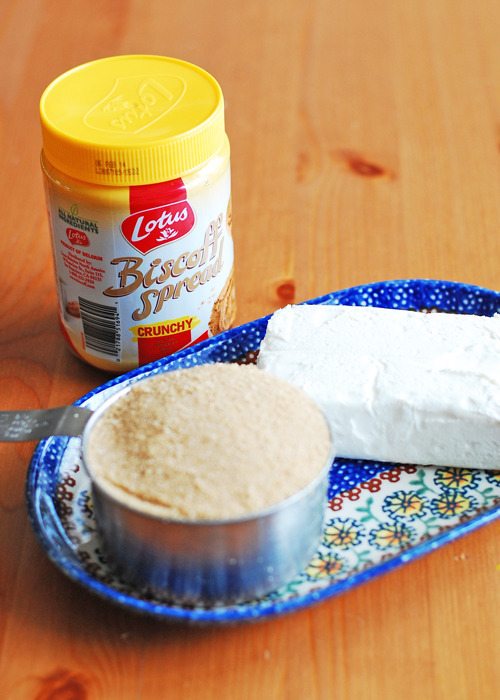 Beat cream cheese and brown sugar with an electric mixer until smooth and well combined. Mix in Biscoff Spread and salt, if desired. I used a whole cup of brown sugar, but I think you could cut back a bit. You’ll notice that there is no caramel in this at all. 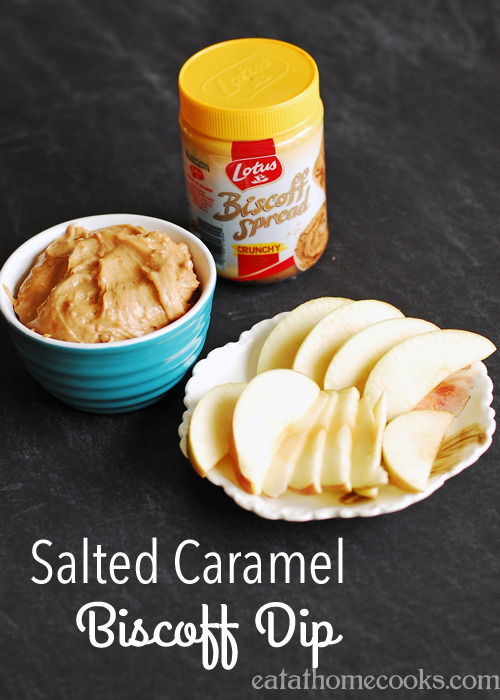 The brown sugar, along with the flavor of the Biscoff Spread add a caramel-like taste to the dip. 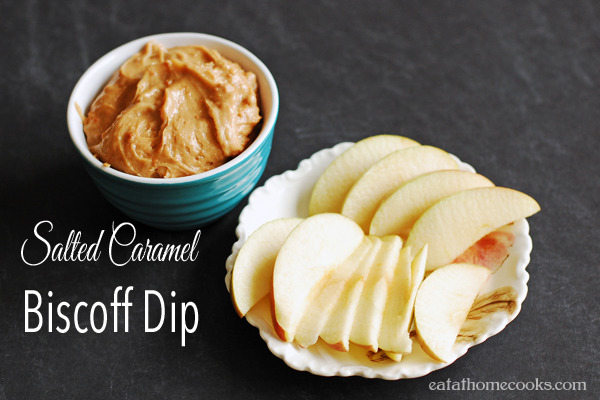 This dip is perfect with slightly tart, crisp apples. I find Biscoff Spread in the grocery store near the peanut butter. To find out where you can buy, visit this link. Have you ever wanted to go to Belgium? You can enter for a chance to winBiscoff’s “Spread the Love” contest to win a trip for two!